张天驰, 张健沛, 张菁, 等. 面向多纹理特征的脑瘤图像分割方法[J]. 哈尔滨工程大学学报, 2019, 40(2), 338-346. DOI: 10.11990/jheu.201712050. ZHANG Tianchi, ZHANG Jianpei, ZHANG Jing, et al. 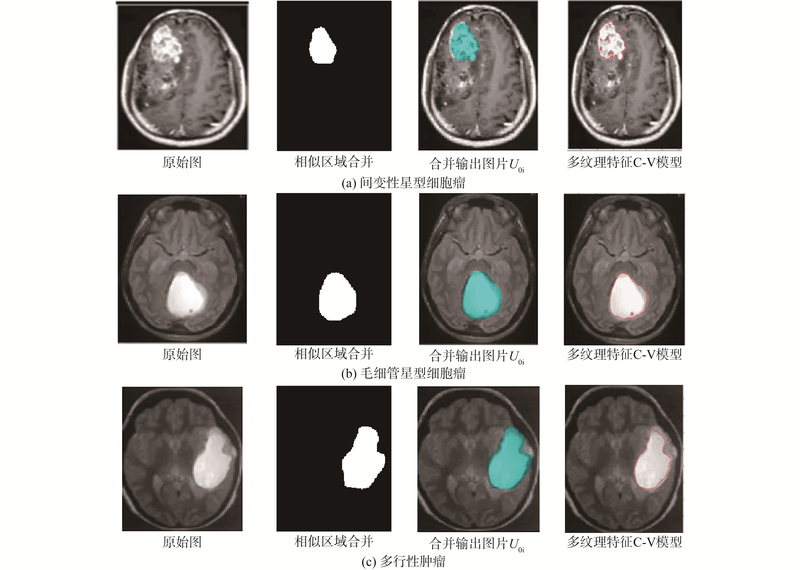 Segmentation method of brain tumor image for multi-texture features[J]. Journal of Harbin Engineering University, 2019, 40(2), 338-346. DOI: 10.11990/jheu.201712050. 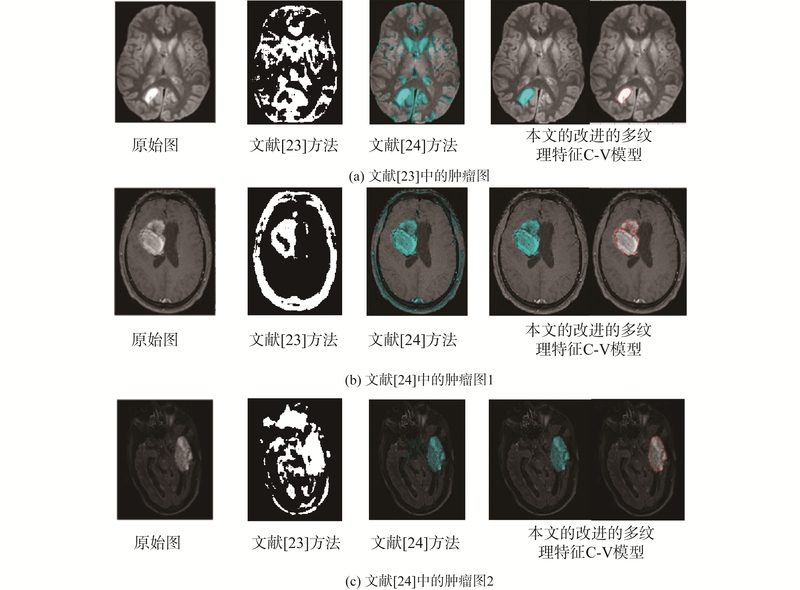 Abstract: Texture image segmentation is a key technology in image processing. 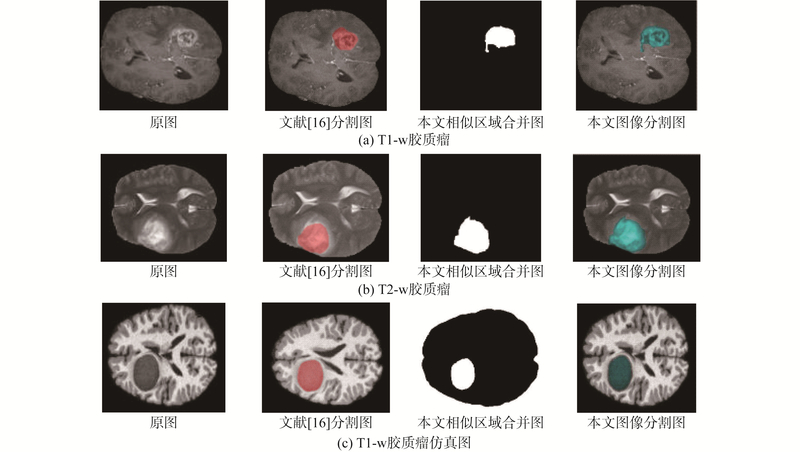 To study the selection of textural features and smoothing of contour lines in medical brain tumor images, Nash equilibrium multi-texture feature calculation method and expression formula are presented on the basis of Nash equilibrium theory. Then, based on Nash equilibrium multi-texture calculation, the method for judging the similarity and merging similarity regions of the Nash equilibrium calculation is given. An improved cross-validation model for multi-texture features in image segmentation contour smoothing is proposed. The image segmentation experiment shows that compared with the typical texture image segmentation method, the proposed method is more effective because its accuracy is 5% higher on average. 胡永强, 宋良图, 张洁, 等. 基于稀疏表示的多特征融合害虫图像识别[J]. 模式识别与人工智能, 2014, 27(11): 985-992. 张翔, 邓赵红, 王士同, 等. 极大熵Relief特征加权[J]. 计算机研究与发展, 2011, 48(6): 1038-1048. 全卫澎, 李卫华, 李小春, 等. 基于统计与频谱模型特征融合的纹理图像分割[J]. 科学技术与工程, 2014, 14(19): 106-111. 赵泉华, 高郡, 李玉. 基于区域划分的多特征纹理图像分割[J]. 仪器仪表学报, 2015, 36(11): 2519-2530. 袁宝峰, 吴乐华, 曾伟. 基于纹理与灰度协同进化的图像分割算法[J]. 计算机应用, 2009, 29(1): 54-56. 黄宁宁, 贾振红, 杨杰, 等. 基于GLCM和EM算法的纹理图像分割[J]. 通信技术, 2011, 44(1): 48-49, 52. 王亭, 王向阳. 基于纹理测度与自适应阈值的FCM图像分割算法[J]. 小型微型计算机系统, 2010, 31(6): 1209-1212. 张佳明, 张荣国, 赵建, 等. 基于纹理特征的主动轮廓模型图像分割[J]. 太原科技大学学报, 2017, 38(3): 190-195. 林瑶, 田捷. 医学图像分割方法综述[J]. 模式识别与人工智能, 2002, 15(2): 192-113. 隗立涛, 修乃华. 基于启发搜索算法的纳什均衡计算[J]. 北京交通大学学报, 2007, 31(3): 58-62. 徐玲凌, 肖进胜, 易本顺, 等. 改进的C-V水平集模型图像分割算法[J]. 计算机工程, 2009, 35(10): 209-210, 213. 付金明, 羿旭明, 檀伟伟, 等. 基于改进C-V水平集模型的SAR图像分割[J]. 数学杂志, 2016, 36(3): 649-654. 王翠杰, 杨永红, 林明. 基于改进C-V模型的高分辨SAR图像分割[J]. 电子设计工程, 2017, 25(19): 161-164. 张石, 董建威, 佘黎煌. 医学图像分割算法的评价方法[J]. 中国图象图形学报, 2009, 14(9): 1872-1880. 程旸, 蒋亦樟, 钱鹏江, 等. 知识迁移的极大熵聚类算法及其在纹理图像分割中的应用[J]. 智能系统学报, 2017, 12(2): 179-187.